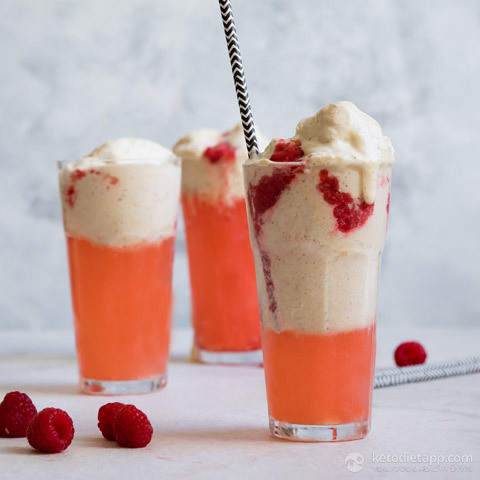 This Keto Raspberry & Vanilla Ice Cream Soda Float is perfect for Summer. Not only is it ridiculously pretty, dairy and sugar free. 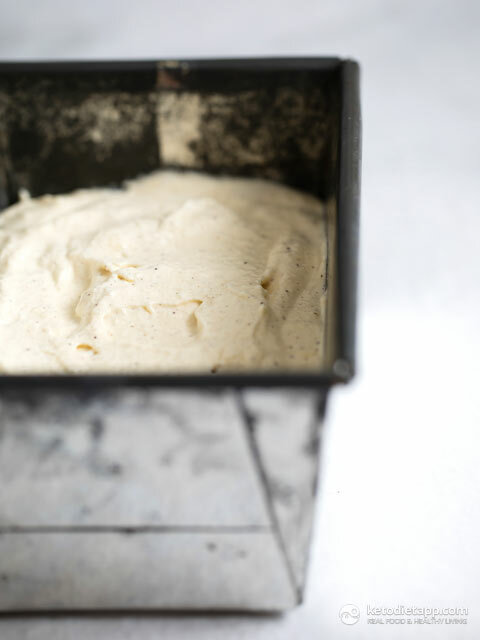 You can wow your guests with it, it’s super easy to make and low in carbs. I don’t actually add any sweeteners to the lemonade myself and just use the raspberries to sweeten but I’ve listed some natural sweeteners here in case you prefer it. Feel free to experiment. 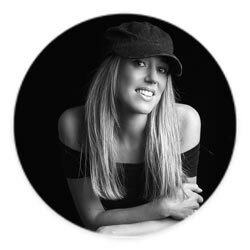 Add a little and adjust to your taste. It’s actually quite funny the first time you make this to see the ice cream float! 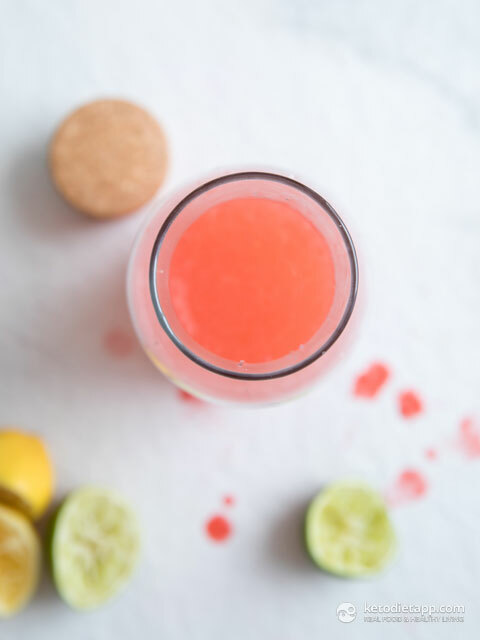 The raspberry lemonade also tastes great on its own with some ice cubes for a refreshing summer aperitif. 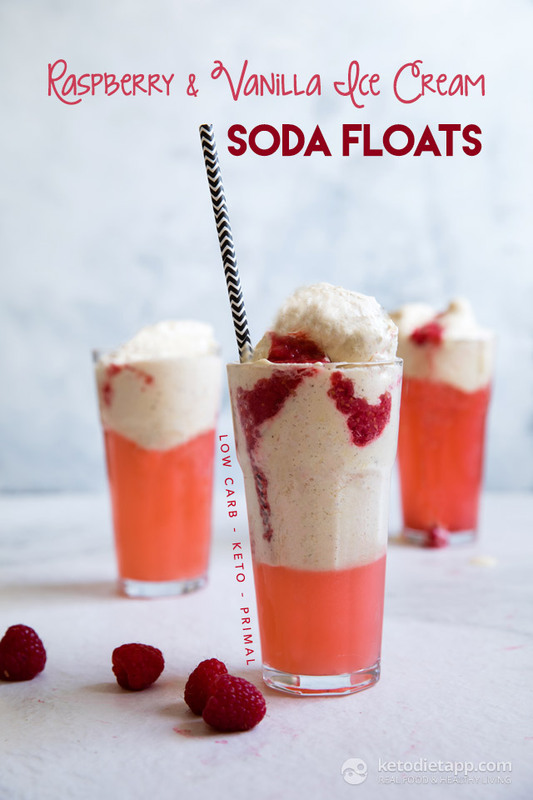 Prepare the ice cream by following this recipe (use the ingredients listed above - you will only need half of the original recipe to make 4 soda floats). Whilst the ice cream is freezing. Prepare the lemonade. Juice the lemons and limes. Pour into a large jug. 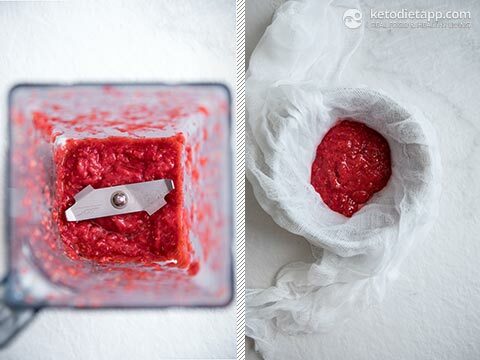 Blitz the raspberries (reserve a few raspberries for the ice cream) in a blender until smooth. Place the pureed raspberries in a muslin cloth and squeeze out the juice. Add the raspberry juice to the lemon and lime juice in the jug and add the water. You can use more water if the taste is too strong for you. Add the stevia (I used drops) and powdered Erythritol. Make sure you use powdered Erythritol or Swerve, otherwise the crystals won&apos;t dissolve. Mix until well combined and no sweetener is on the bottom of the jug. Remove the ice cream from the freezer. 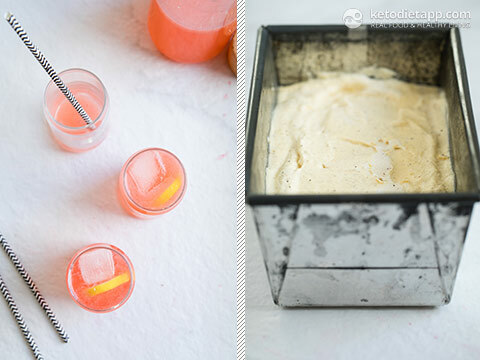 Pour the lemonade in tall serving glasses and top with a scoop of ice cream and add a few crushed raspberries. The lemonade is also served nice on its own. Simply add some ice cubes for a sugar free refreshing summer drink. Enjoy!